The Tata Tiago is being updated to IMPACT 2.0 design language. Hat tip to automotive enthusiast Dennis Kalyana for sharing exclusive photos. Tata Tiago, a popular hatchback in the company lineup, is getting ready for a facelift. The same was recently spied in Chandigarh by Dennis Kalyana. Along with the Tiago, Nexon facelift was also on test. 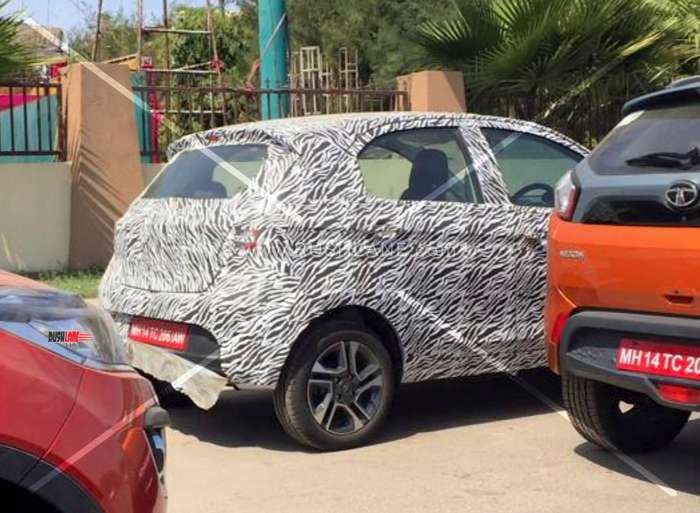 The test mules of new Tiago and Nexon were reportedly heading towards the North, for cold weather testing. 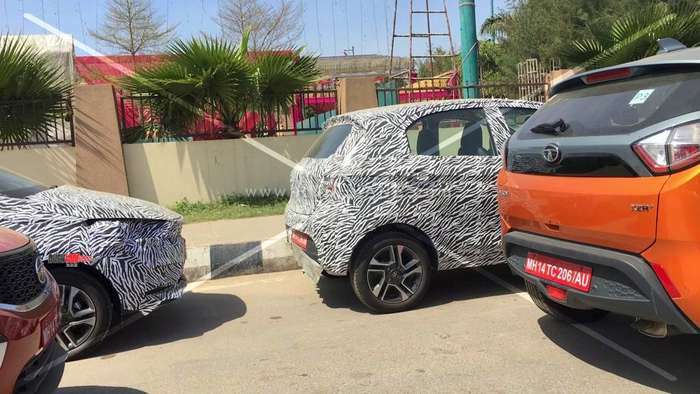 Though completely camouflaged, new Tata Tiago facelift is expected to get a host of updates. Instead of the XO platform, the new Tiago will be based on the ALFA platform, which will be first seen on board the Altroz hatchback, which will be launched later this year in India. Not only this new platform is versatile, it is also more safer. Tata says that their new Alfa and Omega platforms are 5 star platforms. The cars which will be built on these platforms, will offer 5 star safety. Tata Tiago based on Alfa platform will also be able to go hybrid as well as full electric. Tata will not offer the new Tiago with diesel engine, as they will not be updating their small 1 liter diesel engine to BS6 engine norm. New Tiago will only come with petrol 1.2 liter engine at the start. It will get hybrid / electric options at a later stage. The reason Tata is not updating the 1 liter diesel engine to BS6, is because it does not have great demand. Currently only 20% of Tiago sold are diesel. Once BS6 is implemented, prices of diesel engine cars will go up by Rs 1-2 lakh. This will further decline sales of diesel cars. Thus Tata has decided not to update the small 1 liter diesel. Engine specifications will continue with a 1.2 liter petrol engine offering 85 hp peak power and 114 Nm torque. The petrol engine will get mated to a 5 speed manual and 5 speed AMT. With the current generation Tata Tiago competing with the Hyundai Santro and Maruti Suzuki WagonR, the Tiago has amassed sales to the tune of 8,286 units in the past month. It has been the best selling Tata car for many months now. Today, the Tata Tiago contributes over 42.21 percent to company’s total passenger vehicle sales with the fresh updates set to boost company sales even further. Expect prices to be increased, thanks to new platform and updated BS6 engine. Launch is expected early next year, most likely at the 2020 Auto Expo.